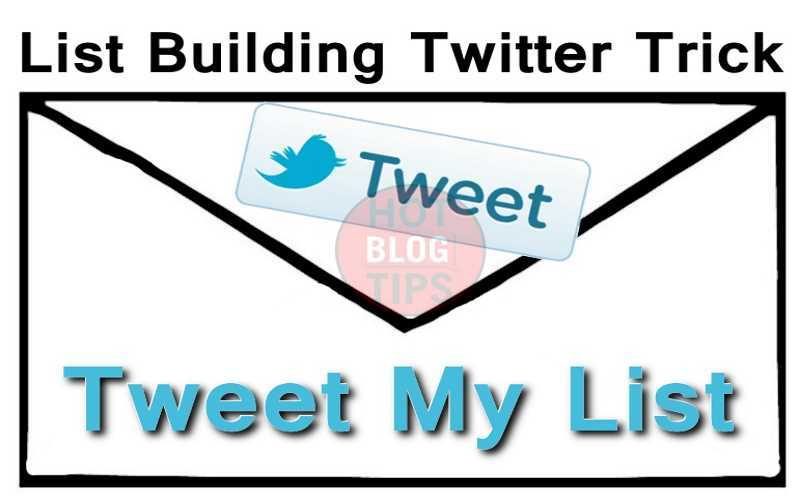 I’m going to show you a cool list building Twitter trick using ClickToTweet, Twitter and your subscription “Thank You” message and page. In just a few simple steps, you can have a powerful list building technique that encourages engagement and social sharing. I’m so glad that you took the time to check out this week’s tip for the Hot Blog Tips VIP List Members. This week’s tip is a list building technique that I got from Michael Stelzner with Social Media Examiner. Update: It took me a minute to find this because I listen to so many podcasts but here’s the episode where Michael Stelzner mentioned this list-building technique; it’s on an Amy Porterfield podcast – How to Promote with Twitter with Mike Stelzner. Most of us who have email lists, have some sort of welcome page, where we direct subscribers once they’ve opted in. Rather than just a short thank you message and possibly a download link for a gift that you gave them for subscribing, why not add an additional call to action and help build a little buzz for your List? This can be accomplished easily with two free online tools. The first is Twitter and the second is ClickToTweet.com. We simply pre-populate the Tweet and say something like, “Thank You for subscribing to our list, you’d really make my day if you’d click the link below and tweet our list out to your followers”. The tweet should include your @name, your #hashtag, your opt-in page URL, and a short message from your subscriber. The Tweet might go something like, “I’m so glad that I joined the VIP List.” Or it could say something as simple as, “I just joined Hot Blog Tips VIP List.” It’s as simple as that. By making it as simple as possible for your subscribers, you’ll encourage social sharing for your brand’s email list. To see this list building technique in action, subscribe to the VIP List at HotBlogTips.com/vip or if you’re already subscribed, sneak on over to HotBlogTips.com/thankyou and see what we’ve done there. If you’ve enjoyed this list building technique, let us know by going to HotBlogTips.com/love and tweet it out to your tribe. Thanks and Blog On.